Here’s Wednesday’s workout! Hopefully you did Monday’s workout! If you’d like to do these on different days, no worries, just make sure you stay moving!! 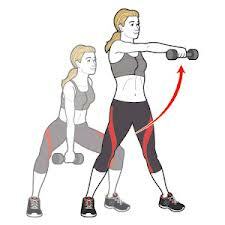 This is a circuit that you are going to go thru TWICE TOTAL….each interval is 50 seconds and it is a strength move followed by a cardio move!! 4-Fast Feet- Wide feet-get low-move those feet fast!! TAKE A BREAK!!! No longer than a minute!! 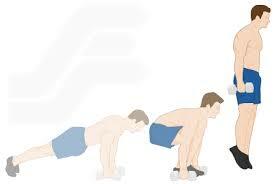 PUSHUPS—How many can you get in 30 seconds??? REPEAT 3x!! NICE JOB!!! FINISH WITH AN AB CIRCUIT AND STRETCH!! !